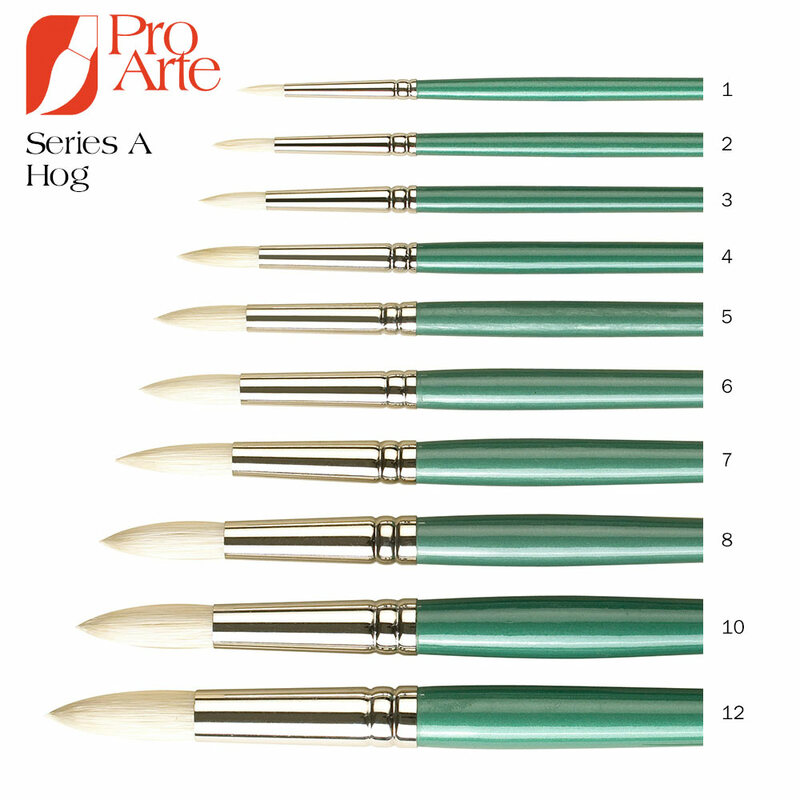 These fine quality Pro Arte Series A Hog Round Oil Brushes are made from Jyukeis hog which is the highest grade of Chinese bristle presently obtainable and considered by connoisseurs to be without equal. 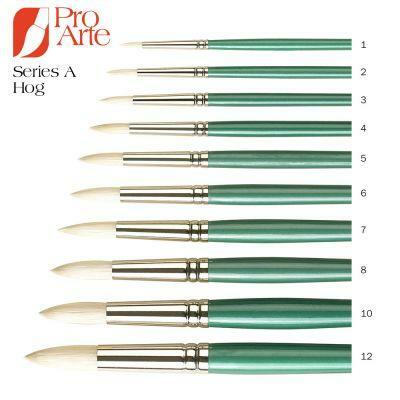 The bristle is extremely firm and in the case of Long and Short Flats incurves to a beautiful razor's edge imparting much spring and being highly responsive to oil paint. However, their greatest virtue of all is in their ability to maintain their good shape even after many hours of continuous use and cleaning. 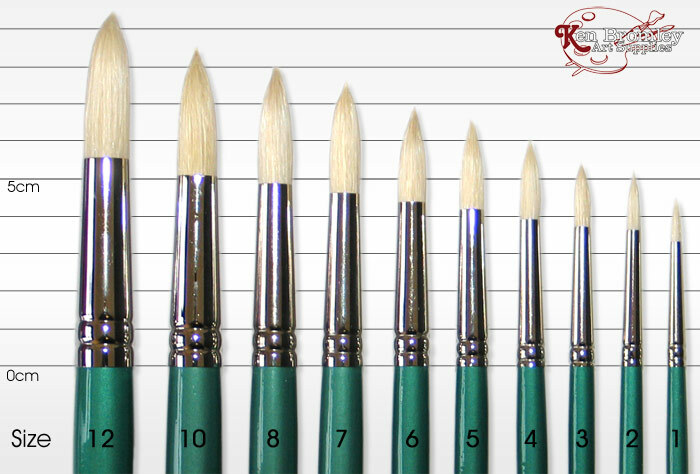 There are four shapes of brushes in this range, and they all sell at the same price. Seamless nickelled brass ferrules. Long green polished handles.